Ten years ago, Shawn Michaels retired Ric Flair. At the time, it was coming for a while now. The Nature Boy was 59 years old, far past his prime after being given one last magnificent run for much of the past decade. WWE set up Flair's retirement the best way they could do it for a wrestler as legendary as he: after declaring that he would never retire, an angsty Vince McMahon declared that the next (singles) match he lost would be the end of his wrestling career. Naitch would go on to beat everyone in his way, keeping his career alive. After weeks of talk about taking Old Yeller to the farm, it was at WrestleMania XXIV where the Heartbreak Kid broke many hearts all over. The stage was set. It was the middle of the show, just after that year's Money in the Bank ladder match (which CM Punk won) and right before the perfunctory eye-candy Divas match and Big Show vs. Floyd Mayweather. Despite the grandeur of WrestleMania, both men did nor wore nothing fancy for their entrances. "Lil' Naitch" himself, referee Charles Robinson, was imported from SmackDown just to officiate the match, as of course he should. All everyone involved were banking on was their combined legacies, reputations, and knack for storytelling they were bringing to the ring. The match started on a strong note, with Flair proving that he was not the feeble old man his sagging skin, whitening platinum blonde hair, and dirty tactics suggested. He wrestled Shawn Michaels, and immediately started working on the leg he'd try to break with his patented Figure Four Leg Lock. HBK would crash and burn too early in the match, giving Flair a lot of chances to dominate and try to go for the win, even if it was going to be by countout. That's not to say that Shawn also had the advantage at some points. He would have Flair open for a good and tuned Sweet Chin Music, but he would hesitate at the very last second. He'd hit Flair with two more superkicks after that, but they weren't the same as if he tuned up the band. Flair, on his part, would really try to make Shawn tap in the Figure Four, refusing to let go no matter what he did. In the end, after knocking down the Nature Boy so many times, Michaels would take one last look at Flair. He tuned up the band, and breathed a silent "I'm sorry, I love you" to the legend he would take out—right before nailing the last Sweet Chin Music to end Flair's career. After the fall was counted, HBK was despondent, realizing the gravity of the act he'd just committed. At the same time, he knew that it was what he had to do. As Jim Ross exclaimed on commentary right after the pinfall, Flair would've done the same thing if the roles were reversed. Flair would officially say goodbye at the RAW after this 'Mania, but as is usual in pro wrestling, no retirements ever stay that way. Flair would go to Ring of Honor for a short while, before ending up in his last prominent wrestling run in TNA until his return to the WWE in 2012. Shawn Michaels, who was also pretty much on his way out, would be retired by the Undertaker two years later—he, at least, has stayed retired to this point. The whole thing was the perfect kind of retirement match any wrestler would want, no matter who he is. "I'm sorry, I love you" would go down as one of the most iconic phrases in the business as well. One of the greatest giving you one of the best matches of your career, at the grandest stage of them all. 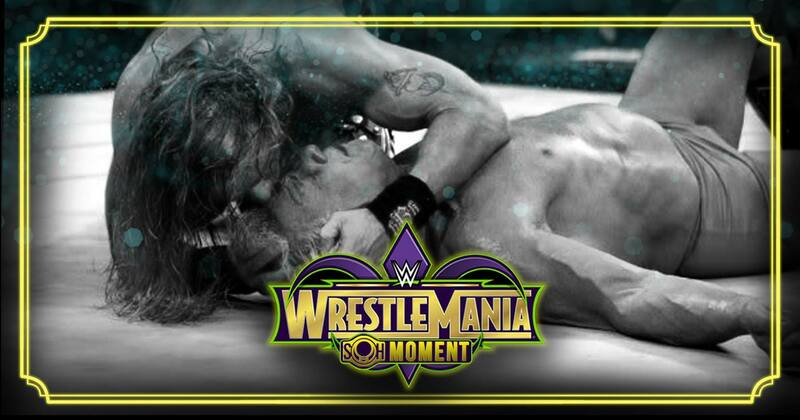 Not only was it the perfect retirement, but it was also one hell of a WrestleMania moment.